CVPC junior D’s had a great day yesterday at the Granby Quiz Rally. We had success on both individual and team levels and were a delight! Mason killed it as overall high score in our division and highest individual score in mega room. Helen tied for overall highest score on the written test with only one wrong. The team itself prevailed with a first in their division – we were so proud of them. 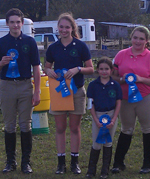 They had a ball, worked beautifully as a team, had fun with each other, and interacted and enjoyed the camaraderie of hanging out with kids from our regional pony clubs. A few highlights were the Polocross section of the barn phase (they loved it!!!) and having Phoebe be the pony that they needed to trailer also in barn phase! They could not have achieved this success without the fantastic help of their older club mentors, Gloria, Maya and Cailey, who ran a great prep session a few weeks ago. 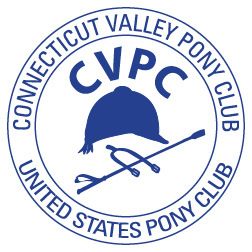 And without the support of our fearless leaders of CVPC – we thank you all for your help and support. Entry filed under: Pony Club Regional Rally, quiz rally.